About 9 minutes and 57 seconds reading time for this 2.5K word page. The state of Louisiana has outsourced nearly all the recovery processes from the 2016 floods that is making every flood victim look over policy not only once, twice, but weekly for any unannounced changes. Added formula to create reimbursement and reconstruction estimates added. Added HUD OIG Report Link regarding Policy Updates and the IEM Inc managed Louisiana Restore Homeowners Program. Added comparison of elevation best practices and costs to other federal disaster in last 15 years. Added contractor names for program review and homeowners feedback. Added contractor IEM Inc. review of management policy and service level to LMI households. "Emergency Management and Disaster Recovery. PUTTING SURVIVORS FIRST says IEM by providing risk-based, data-driven services to help emergency managers and other decision makers achieve results that work in the real world. " Added HUD Elevation data and policy links. Added HUD Guidance references for reconstruction, repair, elevation. It's important to note that HUD will often change it's elevation policy based on the storm surge or flood levels of the actual disaster HUD is attempting to help with long term recovery funds. Super Storm Sandy, prior to the storm HUD policy was to follow FEMA BFE or Local city, county state laws and requirements for elevation. HUD changed this policy to be Base Flood Elevation Plus 1 foot after FEMA reported the storm surge levels. Great Floods of 2016 (DR-4263 DR-4277) August 2016 HUD changed it's elevation requirements because of the flood levels in November 2016 just 3 months after the flood. No city or parish or state planners announced this new elevation requirement. No media or news reports published about the change. Not even the states Office of Community Development was aware of the change for nearly a year based on it's Program Policies not making reference to flood elevation. Federal Register / Vol. 81, No. 224/ Monday, November 21, 2016 / Notices Page 83269 HUD policy for Base Flood Elevation increase to BFE + 2 feet. IEM Inc. Management of DR-4263 and DR-4277 Great Floods of Louisiana 2016. 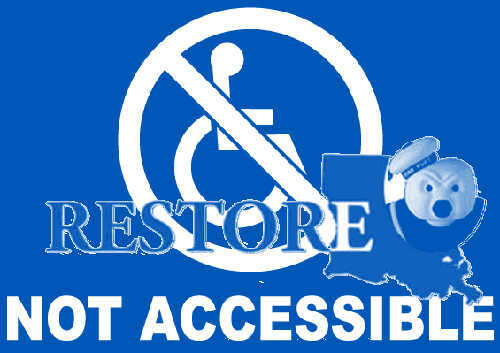 Using the website of Restore.La.Gov managed by the state IT department and updated by independent contractors and IT specialists under the watchful eye of locally and out of state hired managers for IEM Inc.
Change History for Solution 2 program policies that affect reconstruction and elevation by Homeowner or homeowner hired contractor(s). Elevations will be evaluated on a case-by-case basis. ... The total living area is multiplied by $70.75, per square foot cost factor to establish a replacement allowance for the home plus a separate cost of elevation, if required. ... A separate cost of elevation, when applicable, will be added. $70.75/square foot times the square footage of the living area. Elevation design acceptable to the program and in compliance with the local building codes will be priced separately. Homeowners who have completed their repair or reconstruction projects and were required to elevate, per federal requirements, are only eligible for Program funding if he/she has elevated the property to the federally required height of two (2) feet above the Advisory Base Flood Elevation (ABFE). The eligible reconstruction square footage is multiplied by a $70.75 per square foot cost factor to establish a replacement allowance for the home plus a separate cost of elevation, if required. $70.75/square foot times the square footage of the eligible living area. The $70.75/square foot unit rate is based on replacing an impacted home with a home of modest, standard condition. The $70.75 per square foot allowance includes demolition of the previous structure and homebuilding contractor overhead and profit. However, elevation is not included in the $70.75 per square foot allowance. Where applicable, the Program will calculate into the grant amount the additional costs necessary for complying with the applicable elevation standards. O&P is not added to any reconstruction estimate because it is already factored into the per square foot replacement allowance. Reconstruction Estimate: This line is the total of your living area square footage multiplied by $70.75/square foot. Total DOB: The total Duplication of Benefits applicable to your reconstruction appears on this line. Reconstruction Award: This is the reconstruction estimate amount less the DOB. The Program will abide by the decisions of the local jurisdiction regarding elevation requirements. However, the repair estimate process does include attached garages as an eligible room. Therefore, the reconstruction estimate will be based on the total area (as defined above) minus any attached garage square footage. This calculation will result in the eligible reconstruction square footage. The eligible reconstruction square footage is multiplied by a $78.00 per square foot cost factor to establish a replacement allowance for the home plus a separate cost of elevation, if required. Reconstruction estimates are performed on all homes and are the only type of estimate performed when a home is unsafe to enter or has been demolished or partially demolished. A separate cost of elevation, when applicable, will be added. The Program makes the final decision on the eligibility of an applicant and, if eligible, the structure type and square footage used for grant calculation. Adherence to the applicable Green Building Standard will be verified at each construction draw inspection. Should an applicant or an applicant's contractor fail to comply with the applicable Green Building Standard, the work is not eligible for payment under the program. $78.00 per square foot times the square footage of the eligible living area. The $78.00 per square foot allowance includes demolition of the previous structure and homebuilding contractor overhead and profit. The square foot allowance also includes elevation of the home, up to three feet. Where applicable, the Program will calculate into the grant amount the additional costs necessary for complying with the applicable elevation standards above three feet. This may be priced separately. Excavation, framing, roofing, MEP, HVAC, utility service, interior finish work, and up to 750 square feet of driveway are included in the $78.00 per square foot unit rate. If a local jurisdiction is going to require the applicant to elevate, the applicant will need to notify the RLHP of the requirement when they or their home building/home improvement contractor obtains all necessary permits. 1. If elevation is required and the home is slab on grade, the home will become a reconstruction project. The Applicant must submit their reconstruction design plans to the RLHP. The Program will evaluate the reconstruction plans to verify design for ABFE + 2.0’ requirement. The Applicant is required to submit the final elevation certificate demonstrating compliance with the ABFE +2.0’ Program requirement. The Elevation Certificate must be submitted to RLHP to confirm proper elevation height has been completed prior to final payment. 2. If elevation is required and the home is pier and beam, elevation costs are eligible to be included in the ECR. The RLHP would then add elevation costs as a change order, based on the local jurisdiction requirement to elevate. The RLHP would provide cost to elevate the structure to ABFE + 2.0’, and notify the homeowner of the ABFE + 2.0’ requirement. The Applicant is required to submit the final elevation certificate demonstrating compliance with the ABFE +2.0’ Program requirement. The Elevation Certificate must be submitted to RLHP to confirm proper elevation height has been completed prior to final payment. The $78.00 per square foot unit rate is based on replacing an impacted home with a home of modest, standard condition. It is not intended to compensate an applicant for replacement of a custom or semi-custom home. The unit rate takes into account ownership of the land and only calculates the cost to rebuild at a modest level. The $78.00 per square foot allowance includes demolition of the previous structure. Solution 2 applicants who will be managing their own reconstruction project must hire a licensed and insured homebuilding contractor. The applicant must submit the design drawings to the program, along with their construction contract, contractor’s information, and permits prior to beginning construction activities. There is no square footage limitation on a Solution 2 reconstruction project. However, the Program will only pay the Program-determined reconstruction award, less and duplication of benefits, and in accordance with the applicant’s award tier. The applicant is responsible for any costs over and above the Program award. Any amount of necessary funding that exceeds the Program award must first be paid by the applicant, before any Program dollars are used. If the home is in the SFHA, the applicant is responsible for ensuring that the home is built such that the lowest habitable floor is two (2) feet above the ABFE. RLHP will evaluate the applicant’s submitted design drawings to verify that the elevation requirements have been incorporated into the new home’s design. The applicant must also provide a final elevation certificate demonstrating that the home was built to the two (2) feet above the ABFE Program requirement. The applicant must also build the home to energy efficient standards and provide proof that the new home has achieved Energy Star Certified Home status. Solution 2 Homeowner Managed Rehabilitation / Reconstruction: Under this solution, you will contract with your homebuilding contractor directly. Prior to grant execution for this solution, you must supply your selected licensed and insured contractor’s information and your construction contract to the Program. Your homebuilding contractor is responsible for obtaining all necessary permits and you are responsible for providing copies of permits to the Program. The Program will issue two-party payment to you and your homebuilding contractor based on the payment schedule in your written construction contract or subject to the Program guidelines. The contractor’s information and a copy of the executed construction contract must be provided to RLHP prior to grant agreement execution. Construction must begin within 180 days of execution of the grant agreement unless a written hardship extension is approved, or your award will be terminated. The Program will allow you to self-manage your construction project or hire a licensed and insured homebuilding contractor or registered home improvement contractor to complete the work. Any work required by law to be performed by a licensed professional (i.e. electrical, plumbing, and mechanical) may not be self-managed unless you are a holder of the necessary license or your trade provider holds the necessary license. If you choose to self-manage your repair work, you must check with your local permitting office on whether or not your scope of work includes work that requires a permit. The Program may require documentation from you showing that you confirmed your scope of work with your local permitting office and that the permitting office determined no permits were required. If permits are required, the Program may require documentation from you showing that the work, as applicable, was in fact performed by a licensed professional. Overhead and Profit (O&P) will be added to both Solution 2 and Solution 3 estimates. This additional 20% is intended to cover the inherent costs of obtaining and paying a homebuilding contractor, as this is the typical charge passed onto the homeowner. O&P is not added to Solution 1 awards, but is still paid on your behalf to the homebuilding contractor. O&P is not added to mobile home replacement awards. Reconstruction Estimate: This line is the total of your living area square footage multiplied by $78.00/square foot. Reconstruction Award: This is the reconstruction estimate, as determined by the Program, amount less the DOB. Tiered Reconstruction Award: You will receive up to 100% of your Total Eligible Reconstruction Award, as determined by the Program, regardless of your assigned Phase or income. Overhead and Profit (O&P) will be added to both Solution 2 and Solution 3 estimates. This additional 20% is intended to cover the inherent costs of obtaining and paying a homebuilding contractor, as this is the typical charge passed onto the homeowner. O&P is not added to Solution 1 awards, but is still paid on your behalf to the homebuilding contractor. Applicants may choose to manage their own rehabilitation project and the Program will provide a Construction Technical Advisor (CTA) for all applicants in this solution. Applicants will select their own licensed and insured homebuilding contractor or certified home improvement contractor and contract directly with them. However, the RLHP will also allow applicants to self-manage their rehabilitation project in accordance with Louisiana's Contractors Licensing Law - LA R.S. Title 37. If the applicant chooses to self-manage their rehabilitation project, any repairs that require a permit must be completed by an individual or company possessing the requisite license. Applicants whose construction activity under the RLHP is reconstruction, rather than rehabilitation, must obtain a licensed homebuilding contractor to perform the reconstruction scope of work. Requirements for applicants obtaining licensed homebuilding or home improvement contractor. A verification of licensing and insurance will be conducted for any homebuilding contractor or home improvement contractor selected by the applicant. Applicants may only use homebuilding or home improvement contractors that meet these minimum standards. The contractor’s information and a copy of the executed construction contract must be provided to RLHP prior to grant agreement execution. 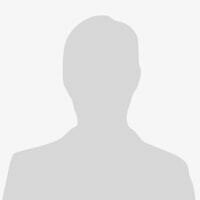 Requirements for applicants who will self-manage their rehabilitation project. Applicants choosing to manage their own rehabilitation project will be required to submit additional documentation. If the repair scope of work is equal to or less than $10,000.00, the applicant will need to submit the homeowner managed self-certification form provided by the RLHP Construction Technical Advisor (CTA). If the repair scope of work is greater than $10,000.00, the applicant will need to submit the homeowner-managed self-certification form and will need to provide additional supporting documentation in the form of bids or contracts for the repair work. The purpose of this additional requirement for applicants with repair scopes of work greater than $10,000.00, is to have the applicant provide proof of the applicant’s construction project plan, ability and resources necessary to manage the rehabilitation project to completion. All Solution 2 applicants. Construction must begin within 180 days of execution of the grant agreement unless a written hardship extension is approved, or the applicant’s award will be terminated. Applicants or their homebuilding/home improvement contractor must obtain all necessary permits. In the cases of MHUs, elevation, reconstruction projects, and substantial damage determinations, copies of an applicant’s permits must be provided to the Program. Applicants will enter into a grant agreement with the State for their eligible Program funding. Construction Technical Advisors will provide applicants with the information and assistance necessary to support compliance with Program rules. The Program will monitor all projects in the Homeowner Managed Solution (Solution 2). Construction progress will be monitored and payment of each progress draw is contingent upon satisfactory inspection of the home by the Program. In the event that an applicant self-manages his/her own construction project, the Program may issue a single-party check to the applicant. The applicant is solely responsible for paying for any contracted work directly to the party or parties with whom the applicant contracted. At the Program's discretion, RLHP may issue two-party payment to the applicant and the homebuilding contractor/home improvement contractor based on the payment schedule in the applicant's written construction contract. RLHP will not pay any advance payment on behalf of an applicant, regardless of the terms of the applicant's contract between the applicant and their homebuilding/home improvement contractor. The RLHP will issue no more than five construction draws per applicant construction project, regardless of the terms of the applicant's contract. Any applicant whose construction contract requires more than five construction draws must negotiate terms of these additional payments with their homebuilding/home improvement contractor. agreement between the applicant and the RLHP. If local code, ordinance or code enforcement official requires elevation of a home and that home has a slab-on-grade foundation, the only option for assistance under the RLHP Solution 1 Program will be reconstruction with elevation. RLHP will not elevate slab-on-grade structures under Solution1. However, if Solution 2 is chosen, a slab-on-grade elevation will be permitted. Elevation will be funded at 100% of Program approved cost when elevation is required. "Substantial improvement" means any reconstruction, rehabilitation, addition or other improvement to a structure, the total cost of which equals or exceeds 50 percent of the market value of the structure before the start of construction of the improvement. The Program does not decide whether a home needs to be elevated. Homes that are located inside a floodplain and which are substantially damaged, as determined by the local jurisdiction, will require elevation to Program requirements of two (2) feet above the Base Flood Elevation (BFE), two (2) feet above the Advisory Base Flood Elevation (ABFE), or the local jurisdiction requirement, whichever is greater, in order to be compliant with HUD federal registry 81 FR 83254 (November 21, 2016). In most cases, unless required by local ordinance, properties that are being repaired, rather than reconstructed, will not be eligible to be elevated through the Program. Elevation will be funded at 100% of Program approved cost, when elevation is required, and must result in a final elevation height of two (2) feet above the BFE, two (2) feet above the ABFE, or as required by local jurisdiction, whichever is greater. Elevation costs are restricted to physical structure elevation on pilings, CMU blocks, pier and beam, or other structurally appropriate methodology. RLHP will not pay for fill as an elevation method for Program Solution 1 slab-on-grade elevations. NO CHANGES related to reconstruction since version 4.0 release. NEW ELEVATION and RECONSTRUCTION grant calculations. The homeowner will be provided by the RLHP program. Program will provide $108.00 per square foot times the square footage of the eligible living area of the original damaged structure. the land and only calculates the cost to rebuild at a modest level. The $108.00 per square foot allowance includes demolition of the previous structure. The $108.00 per square foot allowance includes the price of elevation of the home for the first 3 feet or 2 feet above grade. The $108.00 per square foot allowance includes slab-on-grade, beams, joists, sub-floor. These components are factored into your elevation height for Flood Zones AE where BFE + 2 feet is measured from ground level to top of finished floor. Typically Joists, Beams, Slab are 5" to 10" for slab, and 11.25" for Beams and Joists which adds to the first floor elevation and often called last 2 feet. The Program will calculate into the grant amount the additional costs necessary for complying with the applicable elevation standards above three feet. This may be priced separately. HUD Policy requires Base Flood Elevation or Advisory Flood Elevation + 2 feet for homes and + 3 feet for all critical structures such has nursing homes, retirement homes, etc. Base Flood in Zones AE are from ground level to top of finished lowest floor. Program will provide a Construction Technical Advisor (CTA). Payments as Construction Draws can be scheduled in at most 5 draws total. Scheduled progress inspections before draws up to 30 days total. Program will pay 20% overhead on $108/sf base or an estimated $130.00/sf building costs including contractors overhead and profit. Example Home Build foundation elevated column, beam, joist design: $108/sf will pay for demolition, excavation, foundation, elevation, structure to roof. Elevation: Elevation to 6', first 3 feet which is footer, slab, or block to 3 feet. Last elevation of beam, joists and sub-floor are included in the build price which covers beam 11.25" and Joists 11.25" to 3/4" sub-floor or greater in thickness. This now totals 5' the additional 1 foot is calculated by using the elevation cost chart linked here. The Math: up to 6 foot elevation of lowest first finished floor height. Not to include first 3 feet and foundation or platform. in our example 6' elevation included 1 foot of additional costs on a Beam with Joist with Sub-floor. Offers additional $28.35/sf * 3 feet = $59,535. Components included, first 3 feet, last 2 feet for 11.25" Beam and 11.25" Joists with 1" sub-floor. Total included price is 5 feet to sub-floor. Based on the average of the lowest 3 bids out of ten for elevation I have about $60/sf for 6' elevation. $60 * 2100 = $126,000 of actual foundation costs that are included in the $286,335 total. Subtract $126,000 from $286,335 / 2100 for actual reconstruction grant amount for home after elevated platform was completed. $160,335 / 2100 = $76.35/sf for your actual build. 1. Do you see how I am calculating this? 2. Do you arrive at the same conclusion? 3. Is it possible to build at $76.35/sf + the program will add O&P. The only thing I see as a uncontrolled variable is your first 3 feet and your last 2 feet of elevation. Numbers are only estimates and based on industry standards. The key for disaster victims is the bottom line and your part if any to pay toward the home reconstruction. Variable: Elevation based on $60.00 per square foot estimated. Example 1,500 square foot pre-flood home replaced with 1,500 square foot home post-flood. Elevation 6' full pour or strap foundation with 4' column to beam 11.25" to joist 11.25" to sub-floor 3/4"
Middle 1 foot column elevation costs calculated by Table 1 Elevation. In addition to $108/sf. $33.27/sf * 1500 = $49,905.00 additional allowance / cost. Calculation of old home size and grant award: $108 * 1,500 = $162,000.